Hot melt is applied as a hot liquid directly onto a prepared structural roof deck, creating a flexible and tough seamless membrane. It is applied in two 3mm coats, separated by a re-inforcement layer, creating a combined depth of 6mm and can adjust to the shape of the building. 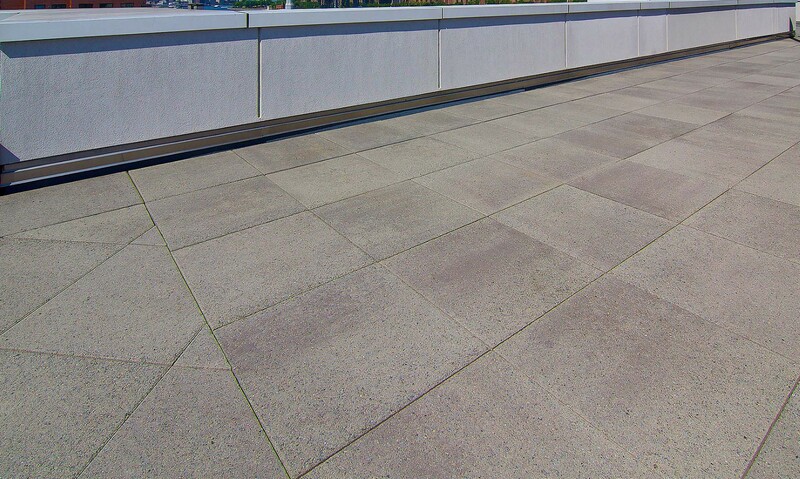 It’s a suitable solution for most types of flat roofs when covered by a suitable protection. Installation is fast, as are the curing times and it’s resistant to rain, snow and frost immediately after application. It can even be installed in winter as it can withstand temperatures as low as -18 celsuis. Most commonly, hot melt is used as an inverted roof system, where the waterproofing membrane layer is applied directly onto the roof deck. Insulation is laid on top, with ballast materials such as gravel, paving or a green roof laid over to form a fully protected surface. This system provides protection from the elements, footfall and mechanical damage. It is an ideal solution on a concrete deck as there is no need to drill into the deck for fixings and there is no need for a separate vapour membrane. It provides a quick and simple solution for projects of any size. Hot melt is a good solution for a completely flat roof. So if there are restrictions around planning or building height and there is no space for falls, hot melt is a suitable solution. This can help to reduce costs and installation times. If your roof layout is complex, falls are difficult to achieve, or the roof has irregularities hot melt may be suitable as it can simplify the installation. Danosa and IKO are our partners of choice when offering hot melt systems.